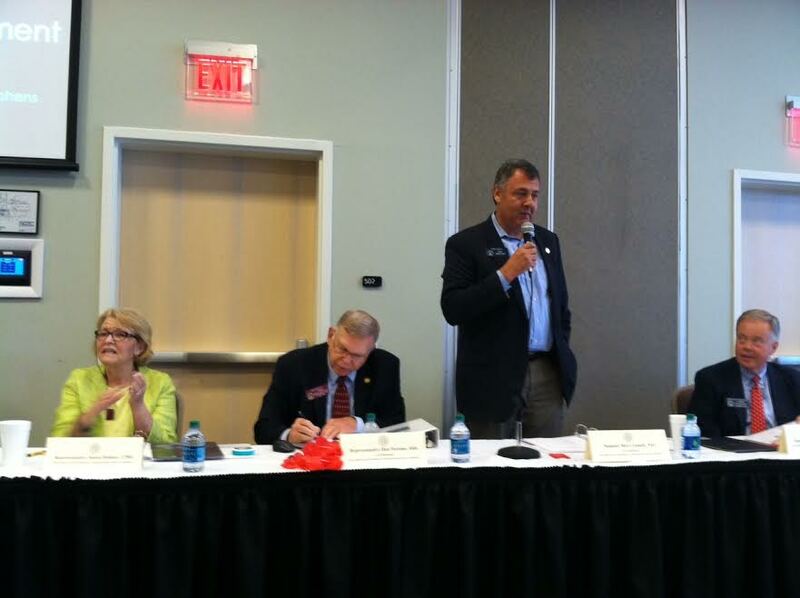 TOCCOA, Ga. – A joint study committee made up of 10 members of the Georgia House and Senate is on a fact-finding mission to find out how to bring high-speed broadband Internet to the rural areas of Georgia. The Joint High-Speed Broadband Communications Access for all Georgians Study Committee held the second in a series of meetings Thursday on the Curahee campus of North Georgia Technical College. Studies have shown that about 20 percent of the U.S. population does not have access to broadband Internet. The problem is not a lack of providers. It is that most private providers say it does not make financial sense to lay expensive broadband infrastructure to serve very few people. Business leaders from as far away as Royston attended the meeting and shared stories about how a lack of broadband access had impacted their businesses. Educational leaders like Franklin County School Superintendent Wayne Randall said lack of access has also deprived students of valuable learning opportunities. “For years and years, we as a school system have prided ourselves on being a socioeconomic equalizer that provides an education no matter where you come from, where you live, what you have or what you don’t have,” he said. But, he pointed out that today, brick and mortar schools aren’t the only place students learn. Modern education relies heavily on Internet connectivity where students can do research and access advanced classes. Randall said that students have that access while they are at school, but not necessarily at home. David Raynor, Senior Vice President of Public Affairs for the Georgia Chamber of Commerce, recommended eliminating the tax on broadband providers and the imposition of local permitting fees. State Rep. Susan Holmes (R-Monticello) pounced on the comment. “When you indicate the state of Georgia is 97 percent covered by broadband, that is simply not correct.” Holmes said. She added that representatives at both the Georgia Technology Authority and the Carl Vincent Institute of Government at the University of Georgia strongly disagree with the Chamber’s numbers.